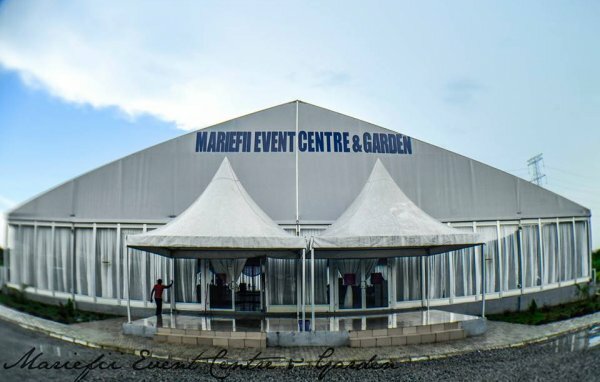 Mariefii Event Center and Gardens is state of the art, fully air-conditioned glass marquee, designed and build to very high standards on quality and design. Boasting of seating 1050 guests, it also has ample parking space and well maintained gardens for outdoor `events and guest overflow. To further cater for the needs of our esteemed clients, Mariefii events center boasts of a well equipped makeup studio/powder room and an equipped outdoor catering. Our restrooms have been designed to cater to both male and female with considerations to their various needs. to ensure seamless events, we have 2 110KVA generator, we are ready to host you to the time of your life. 40 Patrick Yakowa Street, Katampe Extension (Diplomatic Enclave), FCT, Abuja, Nigeria. Shop L40 Jabi Lake Mall, Jabi District,, FCT, Abuja, Nigeria. 2 Ubiaja Crescent, Beside Tantalisers Garki 2,, FCT, Abuja, Nigeria. Dan Preston Road, Navy Quarters, Karachi,, FCT, Abuja, Nigeria. 19 Durban street, Off Ademola Adetokunbo street. Wuse 2., FCT, Abuja, Nigeria. Shop 109, Village Market Road, Kubwa,, FCT, Abuja, Nigeria.